Rufous are on the move. These hardy little migrants have made it to Alaska! Male Rufous hummingbird photographed by John Doerper in Bellingham, Washington. 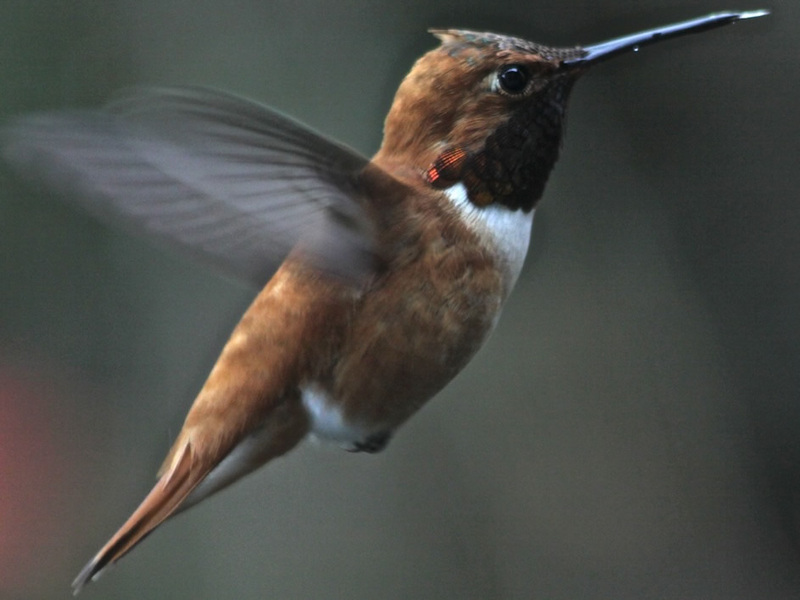 While Ruby-throats are making their slow and steady advance northward, Rufous hummingbirds have shot up the Pacific Coast right on schedule. This week Rufous were reported for the first time in several locations along Canadian Pacific Coast and into Alaska. On the Atlantic Coast Ruby-throats have moved up into Massachusetts this week. Watch for birds at your feeders along the leading edge of the Ruby-throat migration. As the weather changes again this weekend, winds will be shifting to bring cold from the arctic north and birds will stay put for a few days. “First Rufous appeared while snowing. Four days later, a 2nd male has appeared. They dart about ‘guarding’ the feeder from each other (April 8th).” Craig, Alaska. “Right on time. The blueberries bloomed today.” Elfin Cove, Alaska on April 11th. “”I have 2 Ruby-throats. What a joy to watch. Was very cold last night (40*F).” Conway, South Carolina on April 7th. “Today while I was watching the feeder hoping a Ruby would show up soon, there he was! This is the earliest to arrive in the last 4 years!” Mechanicsville, Virginia on April 10th. “Standing in a group of flowers at a native plant place where a male RTHU is doing arching displays for a female!” Ormond Beach, Florida on April 8th. Black-chinned and Broad-tailed Hummingbirds reported in Texas, Utah, Colorado and New Mexico this week.